Parents of children with CP have previously been an untapped resource in rural areas, but as a result of our intervention, parents and caregivers have become valuable resources to both their local CP service and to their communities. Currently 29 trained parent facilitators are running workshops on CP at 14 rural sites, granting more than 1000 parents, caregivers and families access to information about cerebral palsy presented in a way that they understand, in their home language and by someone who is living a similar journey. Furthermore, an average of 90 parents/caregivers from our sites are equipped with practical skills for caring for children with CP each year. Not only are they able to pass on these skills to other parents/caregivers, but are able to provide assistance to their local therapy service as well. Over the past 5 years, our work has proven that parents learn better from other parents and that those parents who feel hopeless and are unable to accept their children’s condition, will struggle to learn about CP until their psychosocial and emotional needs are addressed. Parents/caregivers who are psychosocially well-adapted and who understand CP, contribute towards improving the effectiveness of the CP service through increased compliance to home programmes and adopting realistic expectations of what therapy can achieve. Most importantly, parents/caregivers who are equipped with the necessary skills to care for a child affected by CP, are given the power to minimise the burden that most families experience under such conditions. Noluyolo began to see positive change in her daughter in 2008, after attending therapy every month. 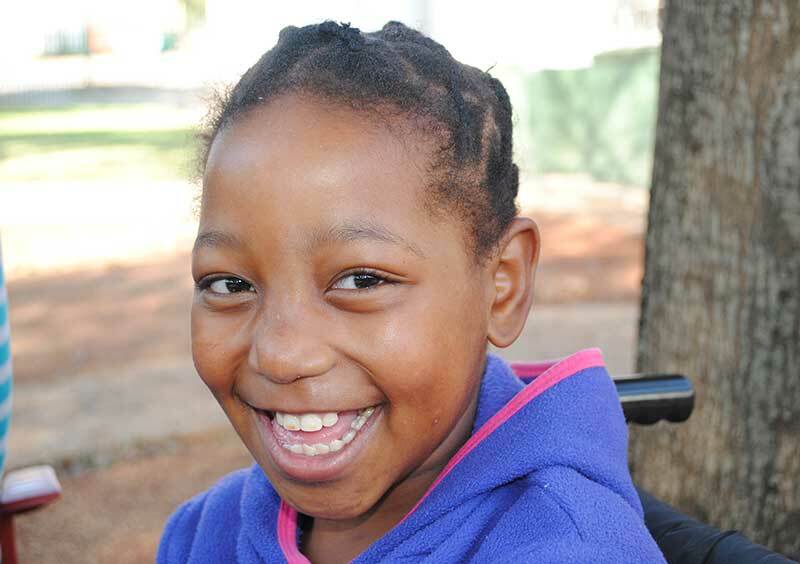 Noluyolo finally saw a flicker of hope: "That's when things got better, my life changed when my daughter received a chair from Malamulele Onward because before we received the chair I was not able to put my daughter down. Every time I tried to put her down to sit she would just cry because she couldn't sit on her own. Ziyanda loved her chair. She struggled to eat, drink, swallow and use her hands. I used to struggle to help her do things but I was then taught how to better assist my daughter. I tried to do all I was taught." 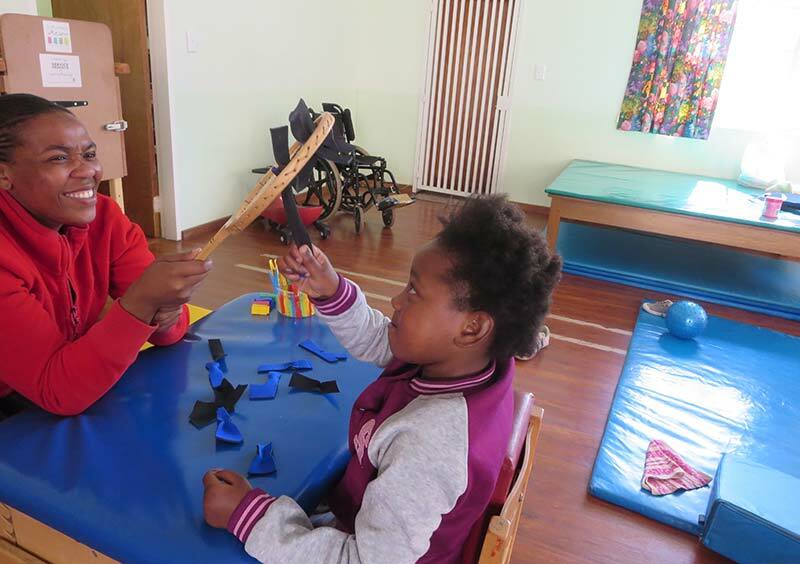 Ziyanda and Noluyolo have been to Johannesburg three times as part of the residential therapy programme and each time we see Ziyanda improve and Noluyolo grow. In 2012 Noluyolo was selected to become a Carer-2-Carer parent facilitator for Malamulele Onward. She attended the training in 2012 and 2013. Due to the excellent commitment she has shown in ensuring that she facilitates positive change in her daughter's life and her leadership abilities, she was selected in 2014 to become an assistant trainer for the Carer-2-Carer Training Programme. Every time we see Ziyanda, we see positive change in her that can only be sustained and facilitated by her mother. Ziyanda continues to grow into a delightful young lady who can express what she likes and what she wants clearly. She is eager to learn and she wants to go to school. She is able to feed herself and she is toilet trained. 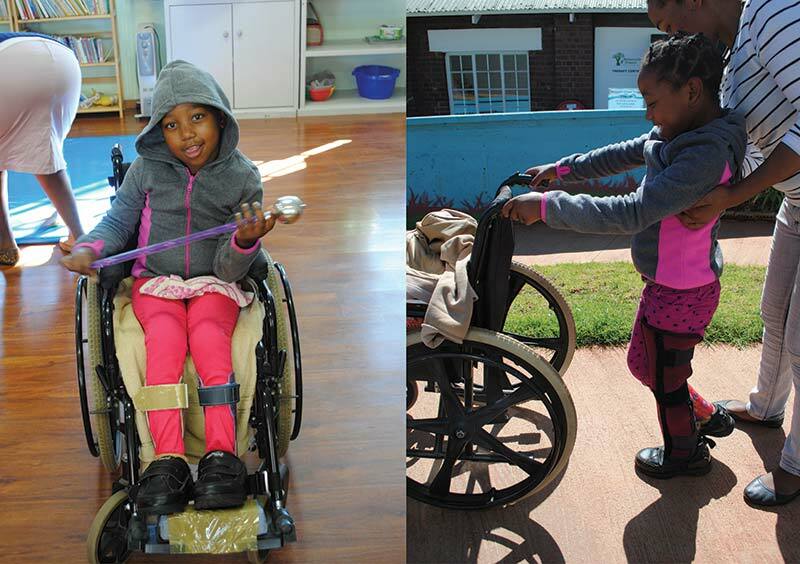 With a lot of effort, she can walk short distances, unaided, using a walking device. With a little support, knowledge and understanding, Noluyolo was able to accept her child’s condition and become a resourceful parent ready to provide valuable information and support to other mothers who are struggling to cope and accept their children. 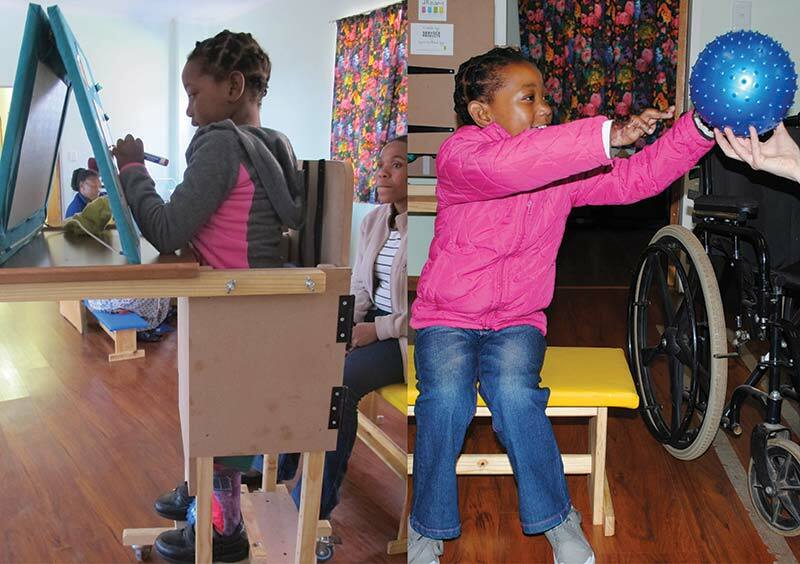 In an area where therapy is more limited than most of the sites in which we work, Noluyolo has managed to reach out and educate more than 90 parents and caregivers of children with CP within her district.